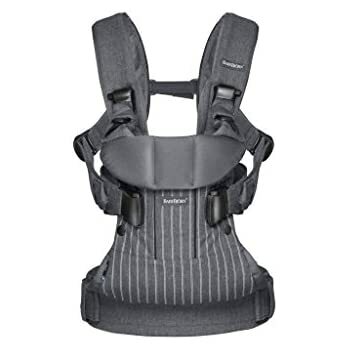 Amazon's Choice for "bjorn baby carrier"
Designed with newborns in mind with a sturdy, adjustable head support. 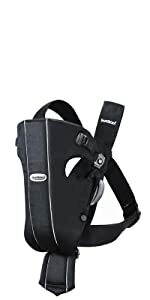 Can be used with our windproof cover either the facing-in or facing-out position. 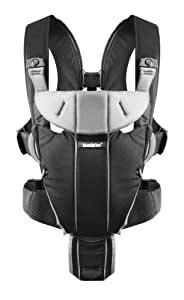 All our baby carriers are free from harmful substances and comply with Oeko-Tex Standard 100, Class 1 for baby products. 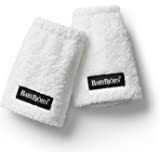 BABYBJÖRN is a Swedish family-owned business that can be found in 50 countries throughout the world. 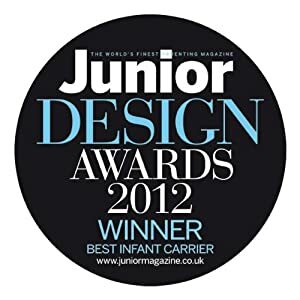 We offer durable and practical products for children up to the age of three. 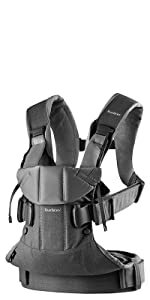 The products we launch always meet the high safety, quality and style standards we set. 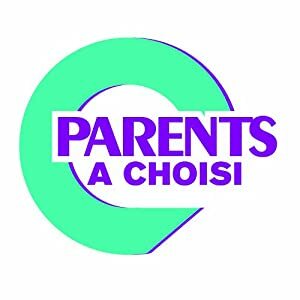 Our vision is to make everyday life easier for families with young children all over the world and to make those all-important early years even more fun. 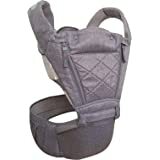 This is a must have for any parent with back troubles. 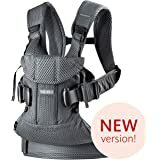 Having had two back operations for slipped discs I was keen to get a carrier with as much distribution of the weight so as not to cause any potential issues again. 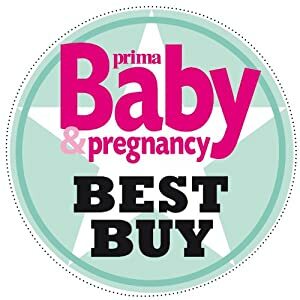 This was by far the best I tried and I've never had any pain after use. I've been on long walks of up to 2 hours without any issues. 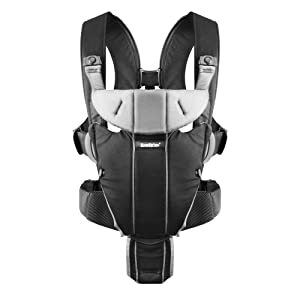 The rear part has an adjustable section that can be moved up and down to change where the weight goes, and I found this useful whilst on walks so as not to tire. 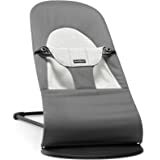 The straps offer good support and after the first couple of uses both my wife and I had worked out how to set it up comfortably for ourselves in a few minutes. 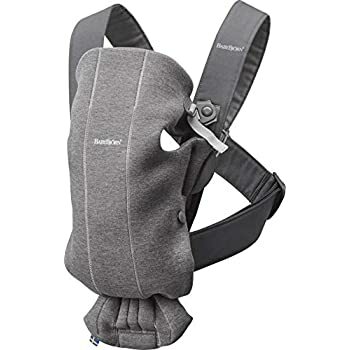 My wife happily uses this on solo trips too, so putting it on and getting Baby in are simple enough too. 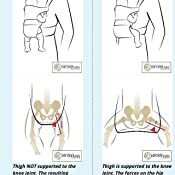 We have moved from inward facing to outward facing, and as long as you set the height right for the baby they can comfortably see what's going on, whilst at the same time being able to drop off if it all gets too much. 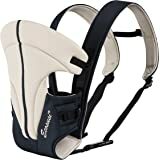 This is by far the easiest carrier to put on and use that I have tried (and I've tried quite a few). 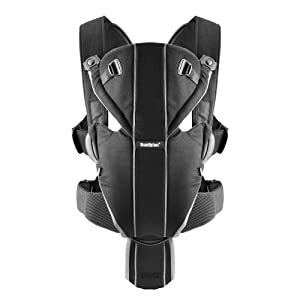 It's comfortable to wear walking around and sitting (once you've finally got baby to sleep). 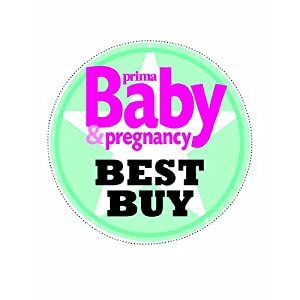 Don't worry about the 'leg dangling' thing and the fact that baby isn't in an 'm' position. 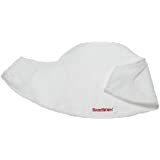 Do some research and you'll find there's not much to back up the idea of it causing hip problems and the NHS has no recommendations against it (it just states that swaddling can be a problem). 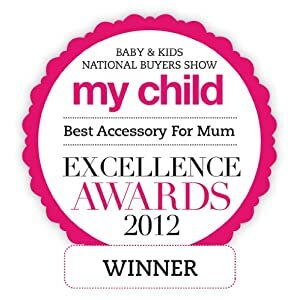 love this - easy to put on, doesn't require the help of another adult (like my ergo baby carrier does!) and I can take baby out without waking her. 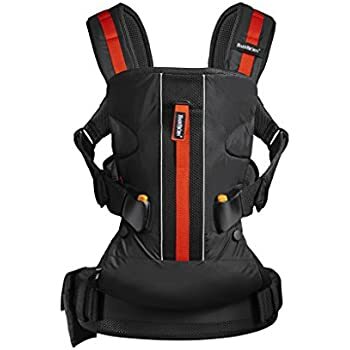 I originally purchased an ergo baby carrier which only faces inwards, big mistake, my baby wanted to look around very early on, hence the reason I bought this. She can look around happily and comfortably in this carrier. I can still face her inwards when she wants a nap and she loves to snuggle in. 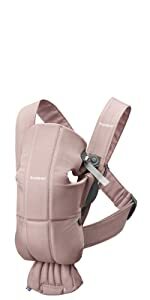 I really like the black/purple colour way too, it's really padded and the waist strap is really sturdy, my baby is snug and safe. 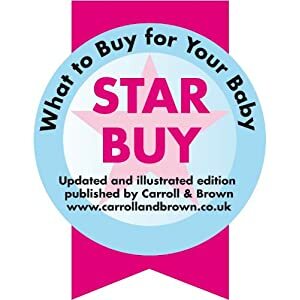 Took it away on holiday and it was invaluable in the airport when a pram/carseat isn't available, I was able to deal with my luggage too as my hands were free! 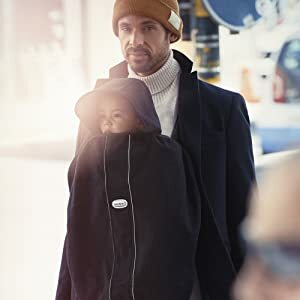 Brilliant for winter walks, wrap baby up (especially their feet!) and get out in the fresh air knowing your baby isn't cold as you have them so close! Great price, great carrier. 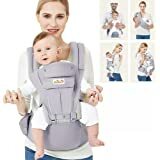 5.0 out of 5 starsI am Kangaroo Mom, and we both love it!!! 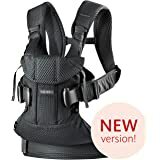 Since my son insisted on being held as a baby, I did some research and ordered the BabyBjorn Miracle carrier. 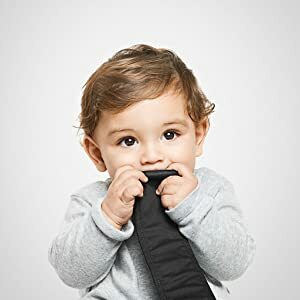 My son is now 14 months old, and it is still used daily. 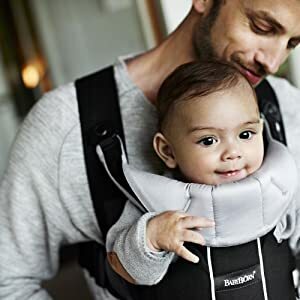 From the beginning I felt I could hold my baby all the time without killing my back. We could be close and bond, he could be calm and I could still carry on with my life. 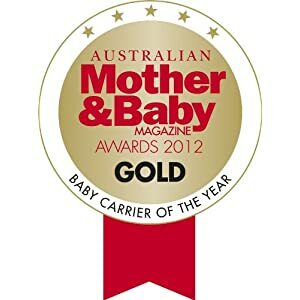 Many times when he is sick or crying, I put him in the carrier and he calms down. When he falls asleep in the car, I put him in the carrier facing me and let him continue to sleep while I take the things from the car home and then put him in bed. 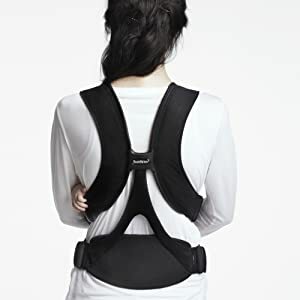 It is also so easy on my back, shoulders and hips. It is also much easier for me to use than a stroller when I make a quick stop somewhere. 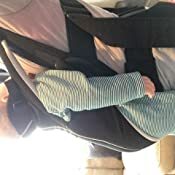 Instead of getting all the gear out of the car, I just pop him in the carrier and off we go, hands free, no need to look for an elevator or open and fold a bulky stroller. I would have liked for it to come with a bag, as it is quite bulky and has a weird shape. 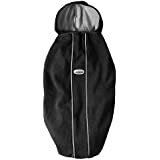 However, I found a nice fabric bag that I designated for the carrier, and it really helps. I keep the carrier in the bag hanging with the coats, so it's always ready to grab and go. New born not taking to it easily - seems a bit frustrated being quite so constrained. Placing arms is a bit awkward and head seems bit too close the parents chest. 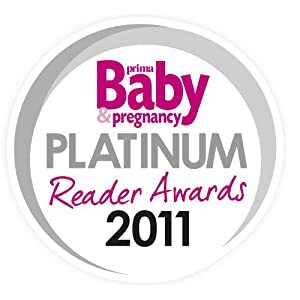 Seems a good well made product so sticking with for a bit longer. Did get baby to sleep once with help from dummy. 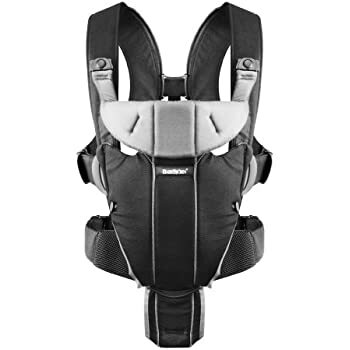 Is comfortable to wear and takes the the weight of baby off parent well. 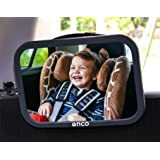 Not sure if it will carry baby facing away from parent either - doesn't seem as if would. 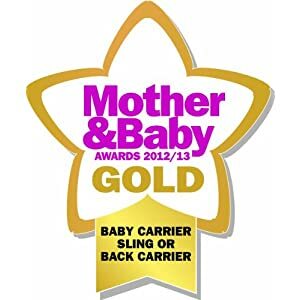 I have tried several carriers and by far this one is the easiest to put on by yourself. It goes on in 30 seconds - ridiculously smart design, but I would expect that from the Swedes! 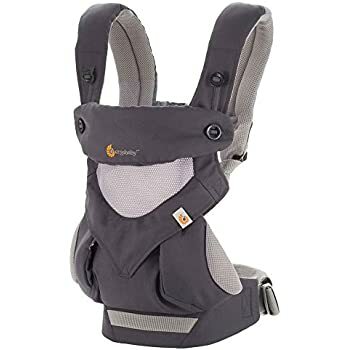 Baby feels very comfortable in the carrier and I wear it out all the time to run errands with no discomfort. 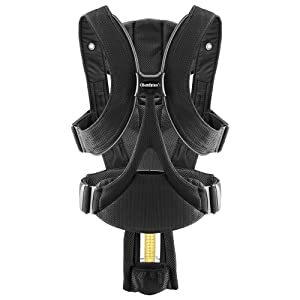 Great how you can adjust the hip and shoulder straps to readjust the weight. The breathable mesh was a godsend in the hot sticky summer this year. 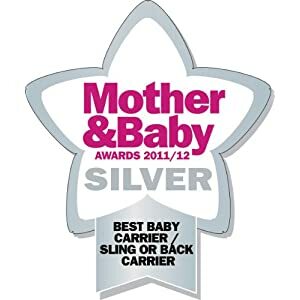 I only wish I had bought this sooner as you can use it from birth and I was messing around with other carriers then (Moby, Ergo, K'Tan). Pricey but well worth it. Don't hesitate! I love love love this product. 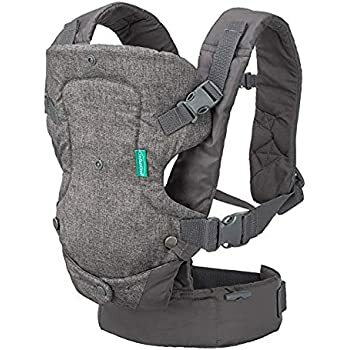 My aunt bought this for us as a present when we had our baby a couple months ago and we weren't sure we'd need it as we already had the Baba sling, but its totally different. 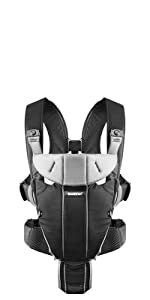 Its much better for baby's posture/spine and we can walk around with her in it all day. My husband loves it as he's not as keen on using the pram when going into Central London. 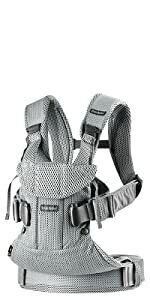 I think the black/herringbone brown colour in this organic version of the Babybjorn is much more tasteful than the silver regular version...or at least it suits my style much better.